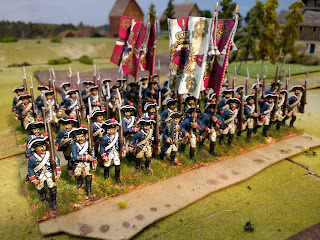 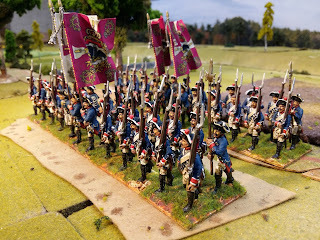 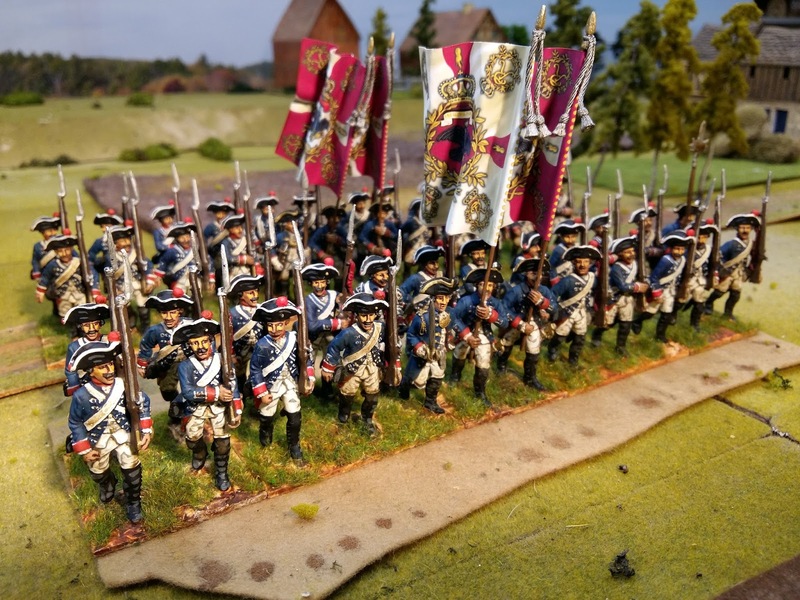 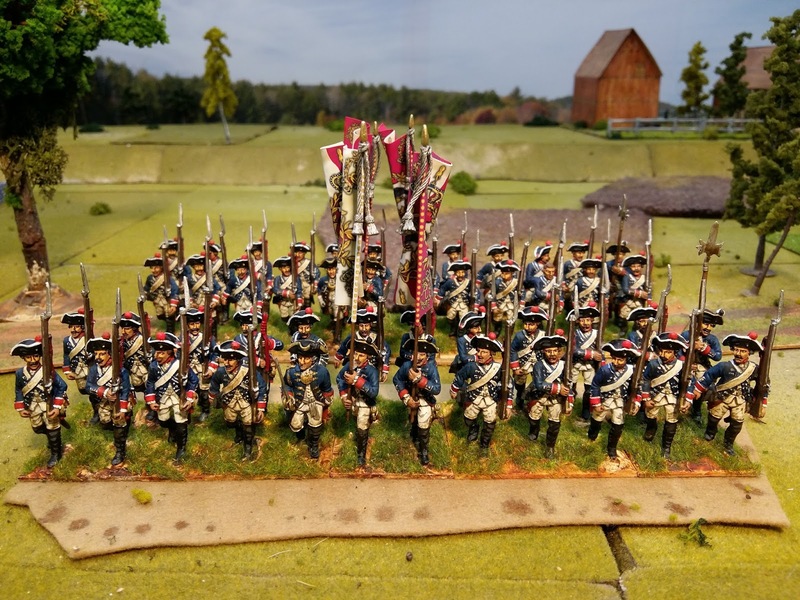 You have already seen these back in January 2015 but now I am beginning the process of adding an extra four figures to each Prussian battalion and to re-flag them from Flags of War, when they become available. 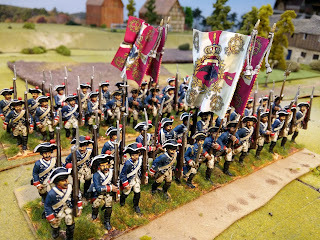 My focus of the next few months will be on sorting out these 40mm armies preparatory to them actually having a battle. 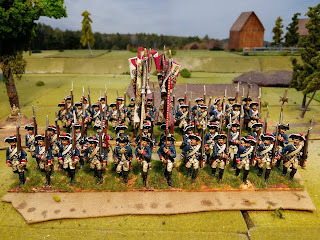 Austrian battalions are being reduced, Prussians increased and many more cavalry, generals and artillery completed.